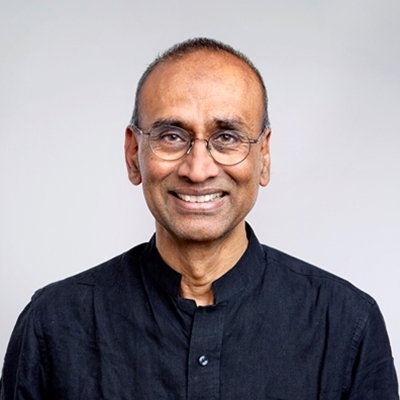 Venki Ramakrishnan was awarded the 2009 Nobel Prize in chemistry for “studies of the structure and function of the ribosome” and in 2015 became president of the Royal Society. We are facing a global health problem with the emergence of antibiotic resistant strains of bacteria. A large number of antibiotics work by preventing bacteria from making proteins, which are essential to carry out the various functions of all life. Proteins are made using instructions encoded in our genes by a large molecular machine called the ribosome. The ribosome is enormous in molecular terms, because it consists of almost half a million atoms. Solving its precise atomic structure was crucial to understand how it worked. It also showed how antibiotics bind to it and how new ones could be designed. The ribosome is also ancient and the structure provides strong evidence that it emerged from a primordial RNA world and by making proteins, helped to transform life into the form we know today. Join Venki as he talks to Roger Highfield about his ground-breaking research.